Olympus Labs Seeks Post Cycle Crown with K1NGS BLOOD PCT – Royal Gainer or Cycle Aftermath Liver Painer??? This Year New Year’s resolutions to “GET BIG” abound. But with the different anabolic cycles available and the varying levels of potency, it’s a challenge to find a post-cycle therapy that will stand up to the aftermath. 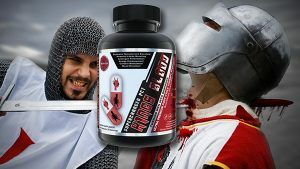 Olympus Labs believes they have the answer to even the strongest of anabolic cycles with K1ngs Blood – the most powerful PCT to hit the market in recent years. 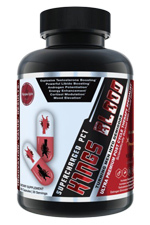 K1ngs Blood boasts 11 different test-boosting ingredients at their maximum doses to boost libido and testosterone after your body has been through an anabolic ringer. Olympus Labs could have stopped with just the test-boosters and estrogen blockers, but added in ingredients like PrimaVie Shilajit and Alcar to improve energy and mood while coming off your cycle. Looks like what people want to keep gains coming through post, but what’s this, no liver support, at least not from what we could see. K1ngs Blood has just hit shelves at Strong Supplement Shop for 2017.
so this s a pct .but do I still have to take live protection for this ? Thank you for your question. Post Cycle Therapy (PCT), like K1ngs Blood PCT, is what is taken after a prohormone cycle. In general it is taken to help put your hormones back into balance, namely testosterone. PCT usually offers some liver protection, however, its there to help with any residual effects after your cycle. On cycle support products, such as Protex and Blockade are necessary to take during a cycle, because that is when the anabolic compound is in your body in the highest amounts and can be toxic to your liver. On Cycle Support is necessary to take during your prohormone cycle.